Calling all presenters for Australia's biggest and best Web and Digital Conference. 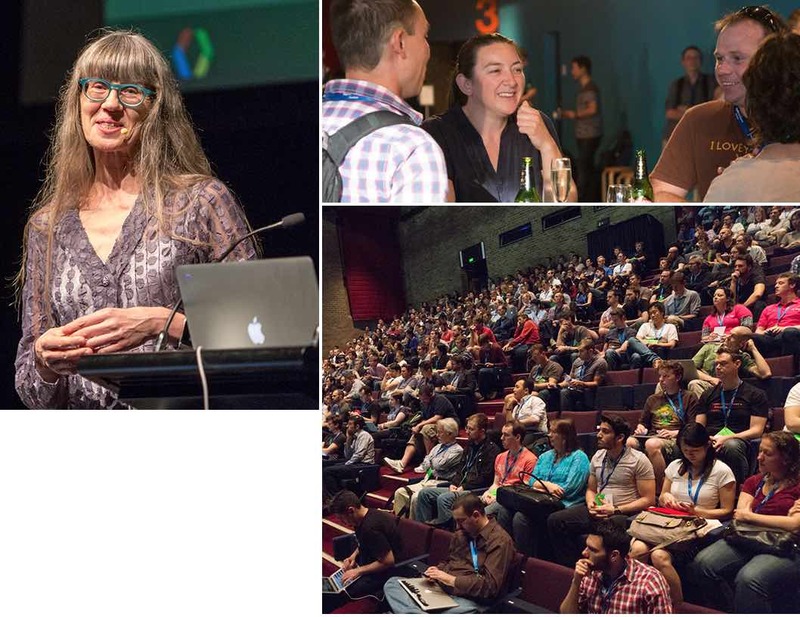 Since 2004, we've always sought out new, original speakers and points of view at Web Directions. We've been the very first conference to feature now incredibly influential speakers like Nicole (OOCSS) Sullivan (do you know OOCSS was launched at a Web Directions event? ), and many many home grown Australian experts like Dmitry Baranovskiy. This year with Web Directions 2015 we're looking to find even more exciting Australian talent, both for our Engineering and our Product & Design tracks. So if you, a colleague or peer is keen to develop their speaking capabilities, and perhaps even speak at this year's Web Directions, read on (or let your colleagues know). This isn't just about speaking on the Web Directions stage, we're running a whole program for prospective (and current) speakers in the lead up to Web Directions, so even if you don't necessarily want to take that big step up onto the Web Directions stage right now, you're welcome to participate. And best of all, it's free. Step one is to submit a presentation proposal. You're not committing to presenting this at Web Directions, but rather, you'll work on this proposal and turn it into a presentation as part of the program. Proposals must be submitted by August 21. We'll be running an intensive, professional, 4 hour workshop for prospective speakers, in Sydney on August 25th, and Melbourne 26th, from around 5pm to 9pm. So you'd need to take a little time off work, but hopefully the case will be easy to make with the powers that be. You'd usually pay hundreds of dollars for such a workshop. But remember it's free, just for submitting a proposal. On September 3rd in Melbourne and September 4th in Sydney we'll be running our legendary What Do You Know events. For those who are keen, the next step is to try out a 5 minute version of your presentation in front of a warm and receptive audience. Step 4 is to get up and speak on the Web Directions 2015 stage, and Sydney's Luna Park, in late October. For those selected, you'll be treated like any other speaker - conference pass, speaker dinner, travel and accommodation for those outside Sydney (we can only cover costs for people travelling within Australia). So what are you waiting for? We’d love to hear what you’ve been doing, and are keen to share with our audience. We’re looking for “design stories”–20 minute presentations on an innovative project or product you’ve been involved in, where design played a key role, solved a specific problem, and the lessons you learned. It could even be a small aspect of a project, which you think is worth sharing. It could be a triumph, or a disaster. It could be “5 things I wish I knew about manufacturing in China before we started”, or a particular design technique (A/B testing colours perhaps?). For example, this short article from the UK Government Digital Service Things we learnt designing 'Register to vote' would make an ideal 20 minute presentation for these sessions. If you think your peers will benefit from hearing about it, we want to hear from you. Are you using new, or underutilised language features from HTML and CSS, and getting great results? Think everyone should know about these features? Then we want to hear about it! Now, We love the bleeding edge, but we’re looking for practical, real world technologies - so widespread browser support, polyfills, or progressive enhancement are key. Our browsers are becoming powerful platforms for development. Got a favourite API you’re keen to share with the World? We’d love to hear about it.